Cambridge University, one of the most prestigious universities in the world, announced Üsküdar University’s “Honorary Doctorate” presentation to Prof. Stephen M. Stahl in its website that was held in March. The news on Cambridge.org stated, "Stahl was awarded with an honorary doctorate by Üsküdar University ". 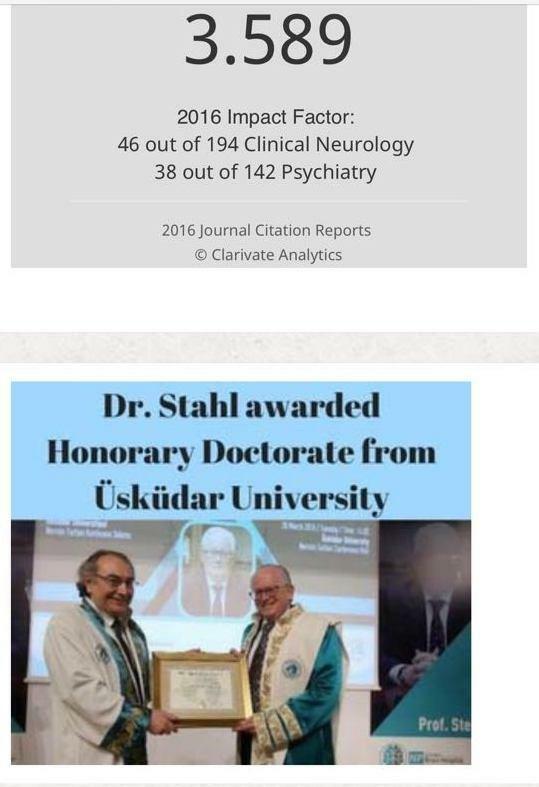 Prof. Stephen M. Stahl, a well-known psychiatrist due to his academic studies, received his honorary doctorate title from Üsküdar University President, Psychiatrist Prof. Nevzat Tarhan in the ceremony organized in his honor. Prof. Stahl indicated how impressed he was with Üsküdar University and application partner NPİSTANBUL Brain Hospital and said, “I am very impressed with your hospital and university. You are rising stars.